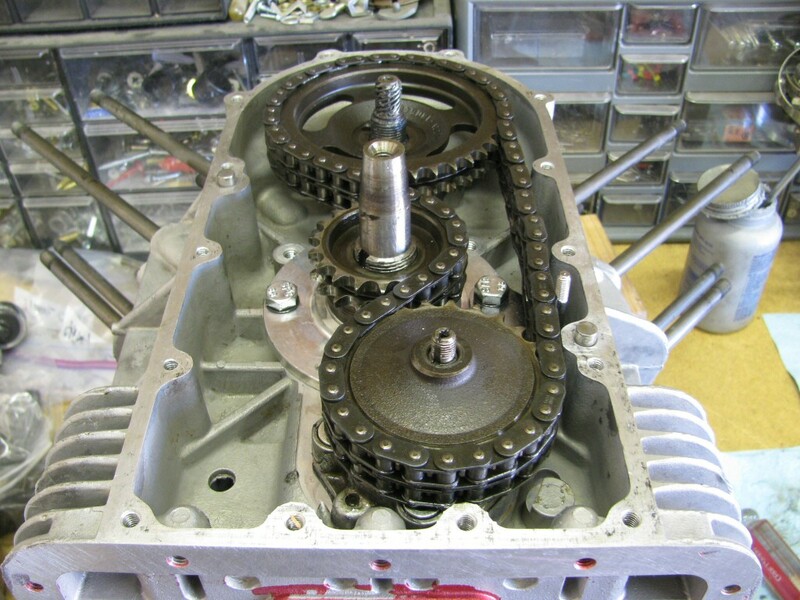 Back to the front of the engine, I installed the timing sprockets and chain. 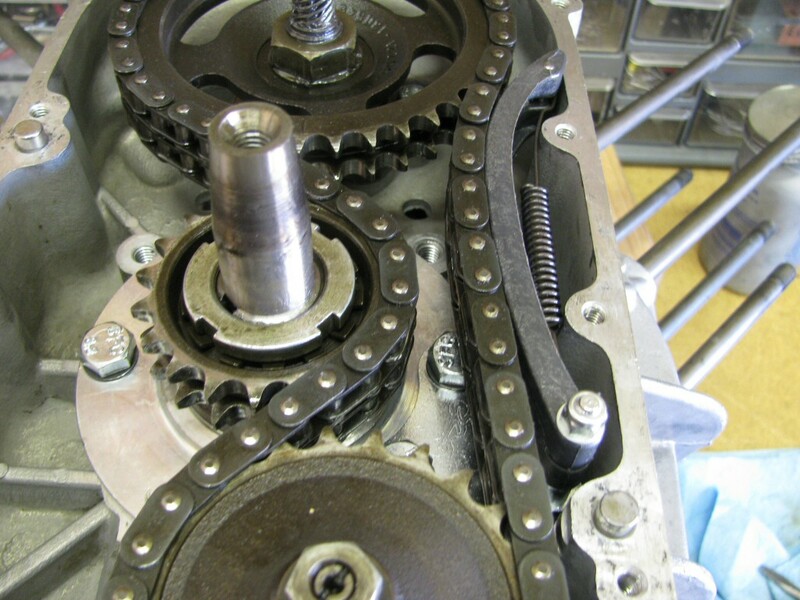 I fit the rest of the bow-type timing chain tensioner. 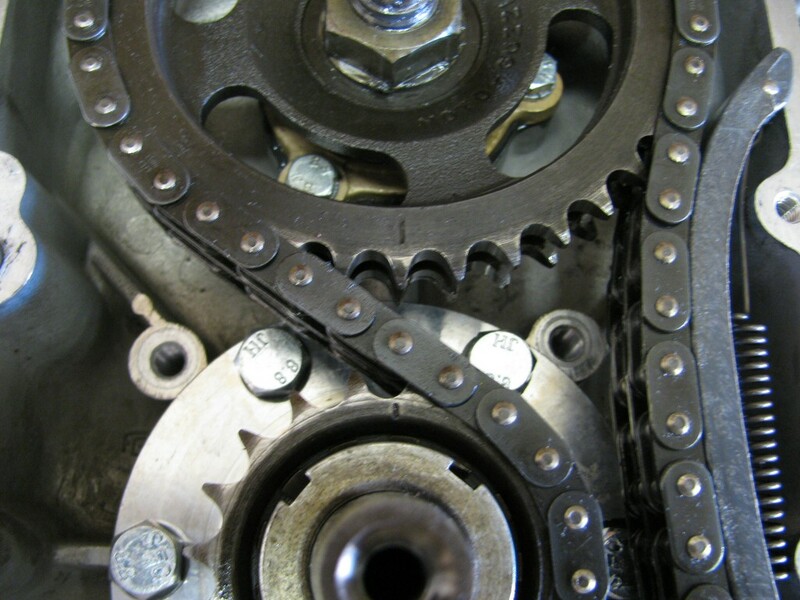 Marks on the sprockets are clearly aligned. 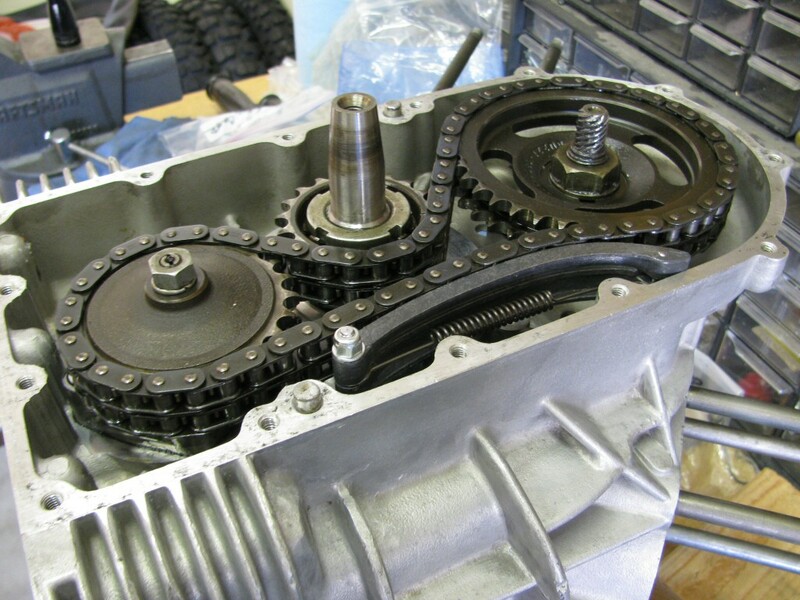 All the nuts are secured in placed on their respective sprockets. 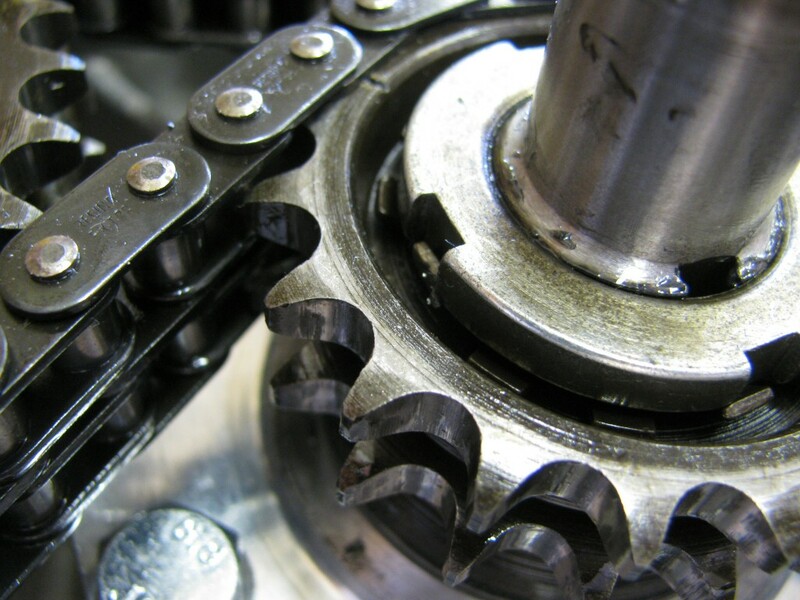 The locking tang on the crankshaft sprocket is bent into place.